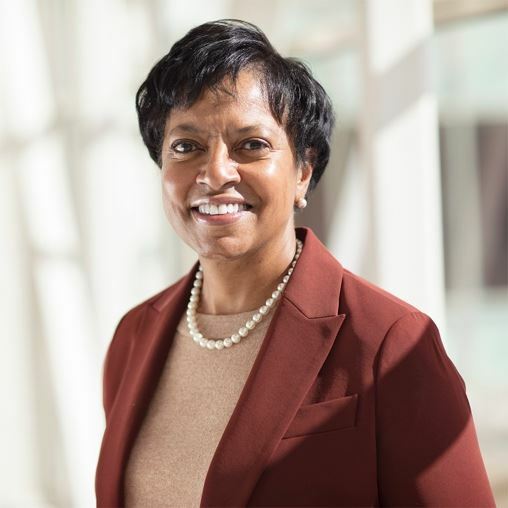 Jandel Allen-Davis, M.D.is the CEO and president of Craig Hospital in Denver, Colorado, a world-renowned rehabilitation hospital that exclusively specializes in the neuro-rehabilitation and research of patients with spinal cord and traumatic brain injuries. Dr. Allen-Davis was the vice president of government, external relations and research for Kaiser Permanente Colorado from 2009-2018. In that role, she led the organization’s government relations and regulatory affairs, community relations and community benefit investment, clinical research activities, stakeholder engagement, communications, and advertising and marketing functions. Dr. Allen-Davis is board certified in obstetrics and gynecology and was in active practice for 25 years. Her past roles at Kaiser Permanente included associate medical director of external relations for the Colorado Permanente Medical Group regional director of patient safety and physician chief of the Wheat Ridge Medical Offices. Dr. Allen-Davis was elected to the Colorado Permanente Medical Group Board of Directors in 1998 and chaired the board in her final year. A graduate of Dartmouth College and Dartmouth Medical School, Dr. Allen-Davis completed her residency at Thomas Jefferson University Hospital in Philadelphia. Before going to work at Kaiser Permanente in 1994 as a staff obstetrician gynecologist, she was an assistant professor of obstetrics and gynecology at the University of Colorado Health Sciences Center and spent four years in the Indian Health Service in Tuba City, Arizona, during which time she also served as a member and chair of the American College of Obstetrician Gynecologists’ Committee on Alaska Native and Indian Affairs. Dr. Allen-Davis believes health care will improve when all the primary stakeholder groups – clinicians, patients, elected officials, community leaders and employers – can collaborate effectively to put the patient at the center. Dr. Allen-Davis is an active participant in the community and currently serves on the boards of Denver Botanic Gardens, the Denver Metro Chamber of Commerce, National Jewish Health, Mile High United Way and the Geisel Board of Advisors at the Geisel School of Medicine at Dartmouth. She has been recognized as a 5280 Magazine “Top Doc” in the Denver metropolitan area in addition to other leadership awards, including Outstanding Woman in Health Care by the Denver Business Journal. She is married to a Dartmouth College graduate, Anthony Davis (’82), and they have two children, one of whom graduated from Dartmouth College in 2009. She enjoys gardening and hiking and is a fiber artist whose work has been displayed in several galleries over the years.